We can design, manufacture and install nearly any custom wood working you may need. 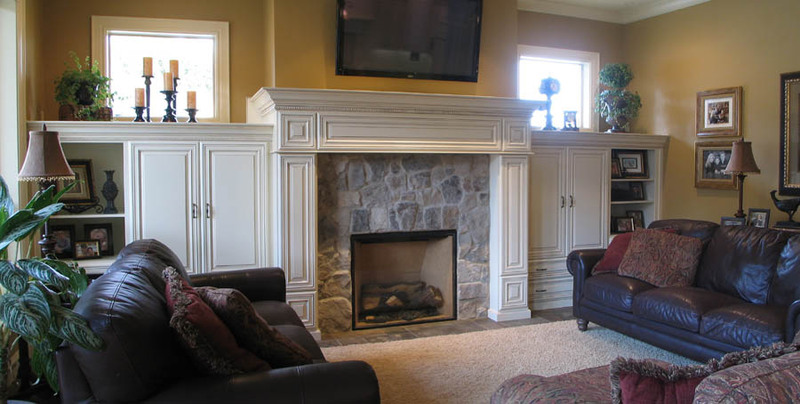 From Mantles and Book Cases, to Kitchens and Entertainment Centers we can do it for you. In the end it all comes down to fitting the right fixtures, into the right place, in the right amount of time. On our website you'll find many examples of the different kinds of residential cabinetry and commercial fixtures that we can provide to the greater Portland-Vancouver Metro area. Spend time in our picture galleries where you'll see examples of our work, and can begin to dream. If your looking for a with an eye for interior design, that is both skilled in using different materials (whether it's a traditional hardwood: cherry, oak, maple or a new composite), and professional in meeting installation deadlines - look no further, you've found Custom Interior Spaces. Contact us today, to get an estimate or design proposal for your cabinetry project. Our team will take the worry out of your project and deliver quality casework that you can be proud of.